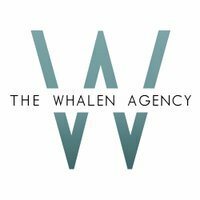 The Whalen Agency is a full service literary agency established by premiere literary agent Kimberly Whalen. @thewhalenagency @louisesbay I’m trying to find your wish list on #mswl, but your name is not coming up. Just a reminder TWA is open to submissions and my #MSWL includes fiction of any kind, diverse characters, strong women. Horror, crime and thrillers. Watching Haunting of Hill House and reading my submissions from #PitDark has energized me! Last week I tweeted about my #MSWL and I’ve rec’d great queries! 1 thing some are missing is author info/bio - who are you, why did you write this book, have you written before??? This info helps agents evaluate the query so always please include it!